The Chicago River, the Empire State Building and the White House fountain. What do these three attractions have in common? They all go green for Saint Patrick’s Day. While it’s fun to turn the world green for a day, let’s make green more than just a color. Start a new Saint Patrick’s Day tradition with your family and use the holiday as a springboard to start living a greener lifestyle. We all know that buying more energy-efficient appliances can help lower costs and save energy resources, but there are also a few small steps you can take to help the environment—and your wallet. Tired of your light bulbs burning out so quickly? You can increase the life of your lights by investing in energy-efficient LED and CFL bulbs, which use 75 to 80 percent less energy than traditional incandescent bulbs. In fact, as of 2014, the old incandescent bulbs were no longer manufactured in the U.S. Try replacing the five most frequently used lights or light fixtures in your house with energy-efficient bulbs and watch your energy bills go down. An easy way to do this is to buy a set of clean energy bulbs and replace the traditional bulbs as each burns out. It’s easy to get into the habit of buying convenient single-use sanitizing wipes. The concept is tempting: grab one, wipe down the counter and toss it in the trash. But an easy, earth-friendly (and cost-friendly) option is to make your own reusable wipes. 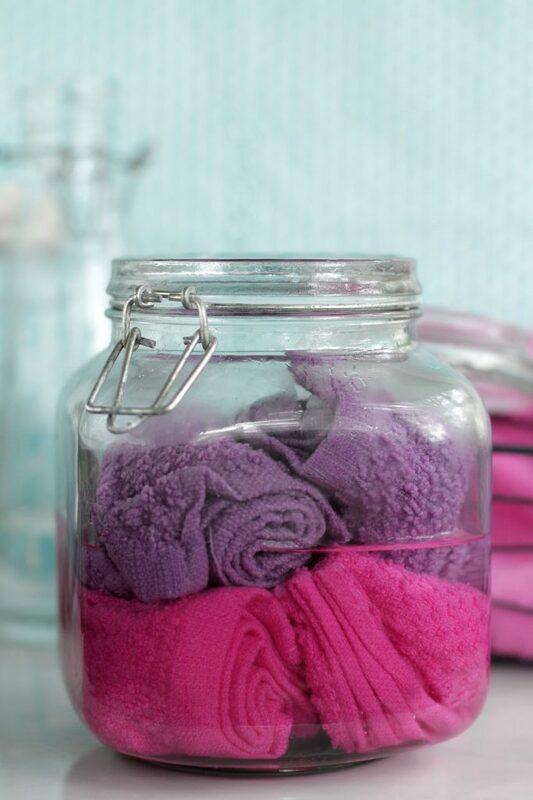 Find some old dishcloths, roll them together, mix up a cleaning solution and place it all inside the old commercial wipes tub. Or, if you’re feeling crafty, you can upcycle an old metal coffee canister to create a more aesthetically pleasing container. Want to save up to 10 gallons of water per day? Put a few rocks in the bottom of a plastic bottle, then fill it up with water and place it in the tank of your toilet. That way, less water is needed to fill the tank and thus less water gets flushed. The result? A DIY energy-efficient toilet. An alternative solution is to buy an adjustable toilet flapper, which limits the water used for each flush. This one applies to both laundry and dishes. Since both small and large loads of dishes and laundry use about the same amount of energy resources, you can save water with each wash by just waiting until the dishwasher or washing machine is full. An added tip? Use cold water, since 90 percent of the washer’s energy is used for heating the water. It may be too much of an adjustment to stop using your dryer entirely, but making the decision to line-dry just half the time saves money and energy. One way to move toward using the clean energy of the sun is to start by line-drying your jeans. Hang-drying jeans will also keep them from fading or wearing down as quickly. Although baths are a good way for Mom to relax, they are not as good for the environment. Taking a bath wastes over 30 gallons of water, whereas a five-minute shower uses only 10-25 gallons. Want to be as efficient as possible? Installing a low-flow showerhead can lower your impact to only two gallons per minute. Install a programmable thermostat in your house to lower utility bills and make your heating and cooling system more efficient. This device will automatically lower the temperature in the winter or raise it in the summer during the times you are usually out of the house. You might also consider lowering the temperature on your water heater to 120 ºF to save even more. Turning off lights is a simple way to save energy, but who has time to remember all the devices they have plugged in at any given time? Simplify your life by plugging multiple devices into power strips and flipping just one switch to turn off up to 12 devices simultaneously. Place one in the living room for the TV, DVD player, game system and sound system. Add another one to the office for the computer, printer, paper shredder, lamp and phone charger. This trick cuts down on standby power loss, which occurs when when electronics use energy even when turned off. This Saint Patrick’s Day, enjoy a parade, drink some green beer and have a fun day celebrating with family and friends. But take the time to make changes that positively impact your environment, too. Each of these tips add up over the course of a year to save both money and energy.